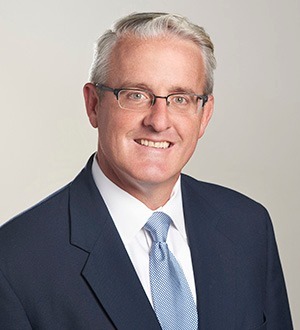 Michael serves on the firm's Management Committee and is Head of the firm's Boston office. Michael prides himself in providing practical and timely advice to his clients and using his over 20 years of experience to find creative solutions to their often complex problems. Michael's practice includes providing legal counsel and advocacy for businesses and individuals and includes the areas of: employment law; entity formation and governance; disputes between co-owners of businesses; insurance coverage and defense; and contract negotiation, drafting and enforcement. Michael appears regularly in state and federal courts in Massachusetts and New Hampshire and has resolved hundreds of complex cases through trial, arbitration and mediation. Michael has tried and resolved cases involving issues of corporate governance, partnership disputes, trade secrets and restrictive covenants, closely held business disputes, corporate mergers and dissolution, successor liability, construction disputes, land use issues, tax abatement, intellectual property disputes, insurance coverage disputes, and a wide variety of contract disputes. Michael represents a diverse client base that includes professionals and institutions, closely-held businesses, Fortune 500 companies, insurance companies, real estate developers, medical device manufacturers, health care providers, security companies, distributors and other business organizations and individuals. Michael's clients speak highly of his responsiveness, judgement and advocacy skills. One client notes that Michael has "a natural aptitude toward resolving disputes while at the same time, being totally an advocate for his client. This strength is apparent in his character and serves him well, both in the boardroom or the courtroom." Another client reported that Michael "was excellent from start to finish. He was very thorough, knowledgeable and prepared. I would absolutely use him again and have already communicated to others in my office to utilize him." New England Law - Boston, J.D.